As an email user, you probably get hundreds of emails every day. How many of them make you react like the lady in the picture? What prompts you to open some emails and ignore or delete others? We are willing to bet it was the subject line. As it is your first glimpse of the email, you’ll probably base your decision on whether or not to open it. Now let’s look at this from an email marketer’s point of view. 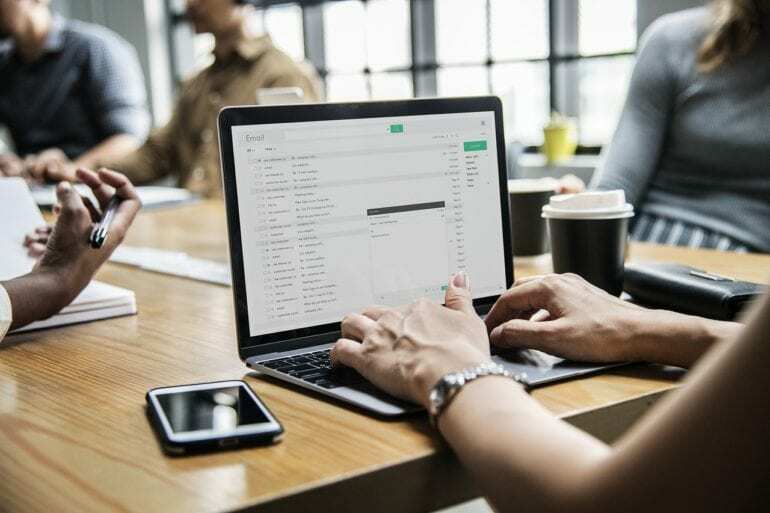 If there’s one challenge they face as they’re vying for their subscribers’ attention in an overcrowded email inbox, it is the email subject line. 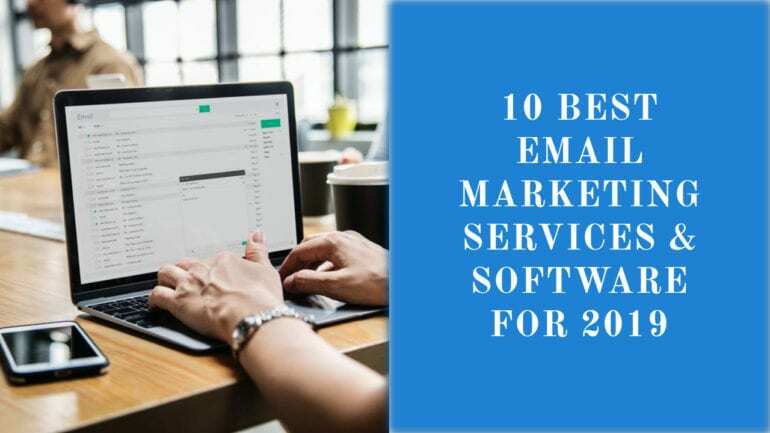 The right email marketing strategy is in place; you’ve invested in a robust the email marketing automation software like Constant Contact and of course, crafted a fantastic offer the audience can’t refuse. The email has been tested to make sure it looks great across devices. 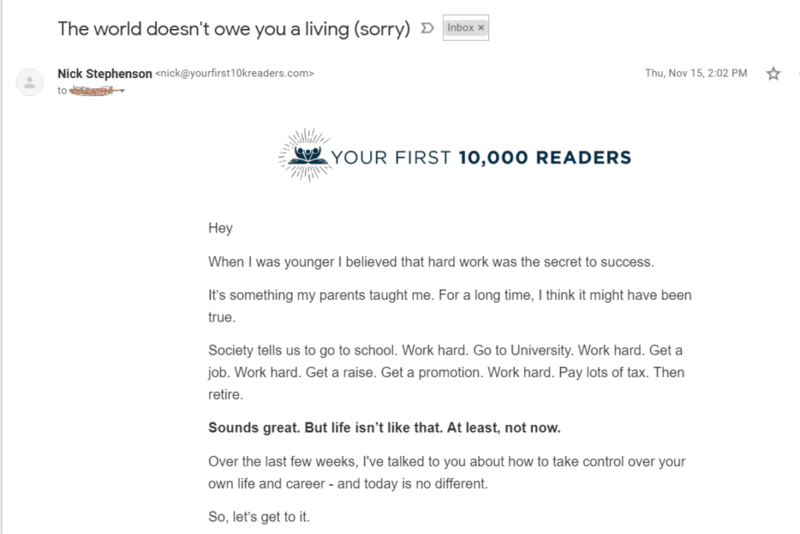 But none of this will work if the marketer’s subject line doesn’t excite the subscriber as it carries the risk of the email being ignored/trashed. 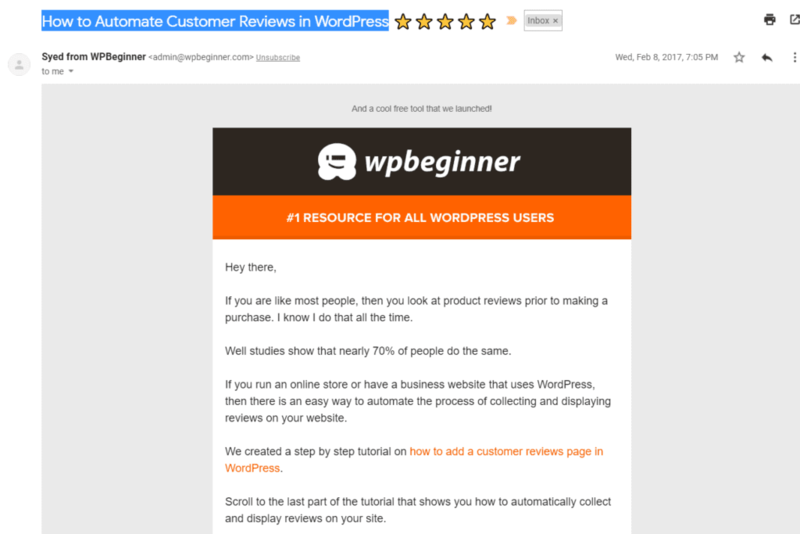 How Do You, As an Email Marketer, Get Your Reader’s Attention? 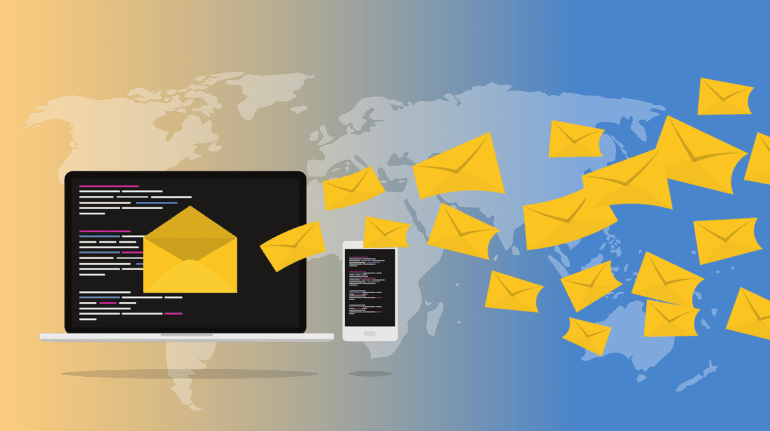 According to an email statistics report that brings together statistics and forecasts for email and mobile email use from 2015 to 2019, approximately 235 bn. emails are sent/received per day, of which business emails are 120 bn. and consumer emails are 104.9 bn. Statista’s report states that in 2017 alone, the number of sent and received emails per day was roughly 269 bn. and this number is expected to increase to over 333 bn. daily mails in 2022. 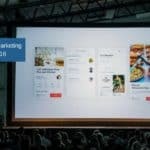 Imagine what this means for marketers who leverage email marketing to connect and engage with their target audience! 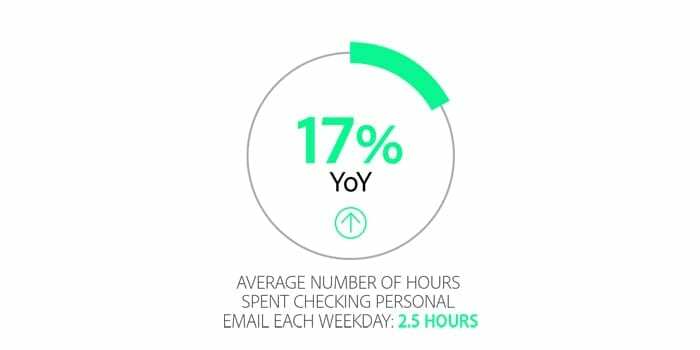 Consumers are checking personal email an average of 2.5 hours on a typical weekday. On top of that, they’re spending an average of 3.1 hours checking work email. This is proof that consumers definitely want to keep in touch via email with brands they like. With its high ROI and as one of the most profitable marketing channels, email marketing works only when your reader opens your emails! Fortunately, there are a number of techniques at your disposal to create catchy subject lines. Wait! Why Is That Email Subject Line So Important? The email subject line is literally the gatekeeper of your email relationship with your subscribers. Assuming they have whitelisted you as a contact and you arrive in their inbox, you’ll need to craft a subject line that makes them want to eagerly open that email and engage and respond to your call to action. That email headline and its preview has to be brilliant—and consistently so. According to this infographic on email subject lines, for 47% of email recipients, the subject line determines whether they’ll open it. And 68% actually report the email as spam based on the subject line and that’s something no marketer wants! Let’s take a quick look at some popular and proven email subject line formulas that work. We’ve used some real-life examples. Feel free to use these and mix and match according to your customized campaigns. And of course, do bear in mind that your content must fulfill the promise of that mesmerizing subject line. Curiosity is an effective marketing tool and drives the reader to take action and engage. 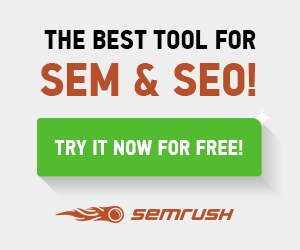 Copyblogger– Does Your Copy Pass The ‘Forehead Slap’ Test? Reader’s Digest – Doing this may make you age faster! 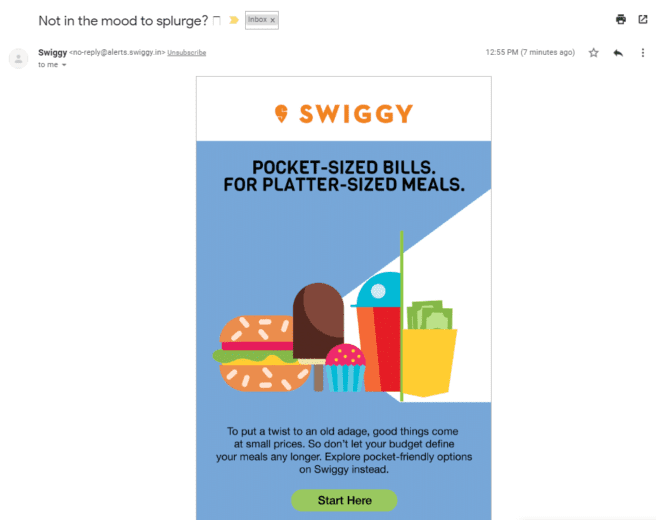 Swiggy – Not in the mood to splurge? Of course you want to know what happens next! They are clear and focus on the benefit. If there’s one thing that drives humans crazy, it is the fear of missing out. 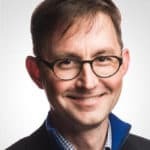 Leverage this powerful strategy in your email subject line using the time/availability limitation, urging them to take action before it is too late. 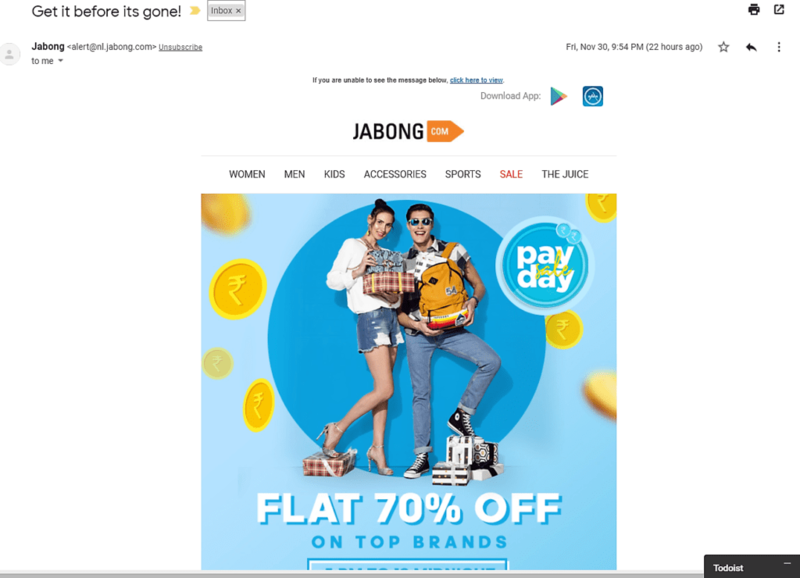 Jabong: Get it before it’s gone! Of course, these offers must be relevant to the reader to solicit the right response. 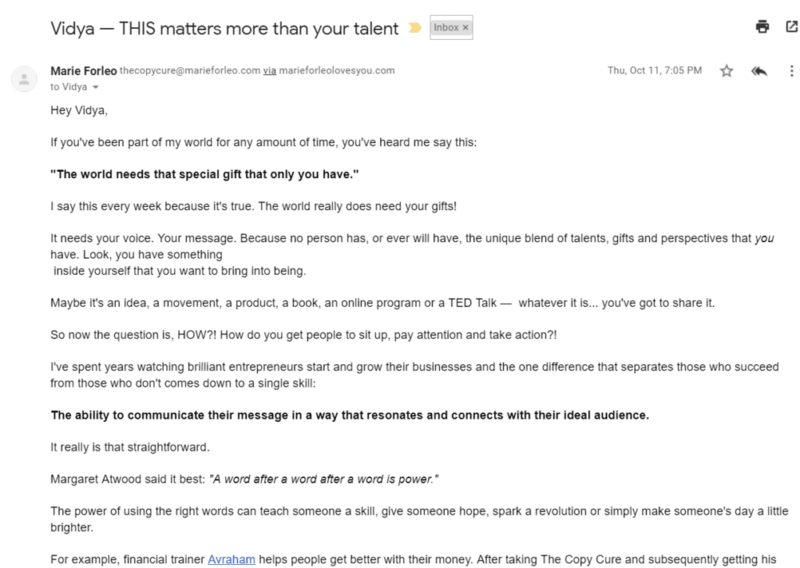 In a steady stream of mediocre email subject lines, how about using humor to stand out? Remember that it has to appeal to your audience without being offensive. Nothing like bringing on a smile AND getting a higher email open rate! Of course, we are all always looking for a better way to make life easy and if a business can solve the problem, it is ideal. Steve J Scott: Struggling with your exercise routine? Can you see yourself opening these emails? An element of surprise is always a scroll-stopper! This can be a limited time offer or something the user was not expecting. Go ahead and shock ‘em! This is another classic that tells the user exactly what to expect and is proven to increase social shares and engagement. 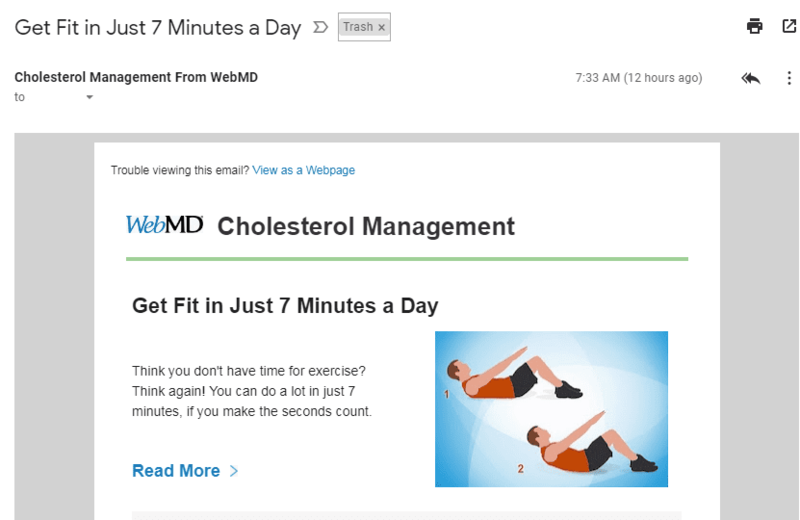 This one works because a/ we all want to get fit and b/ we can certainly spare 7 minutes. This tricky formula works best when used properly. For example, if the user has to take steps, the fewer the better; but if you want to give them tips or ways to improve something, the higher the number, the better. This speaks directly to the subscriber, often enhanced by addressing them by name. Combined with a catchy subject line, it will connect with them personally. You can bet they will want to open that email! Marie Forleo: Vidya, THIS matters more than your talent. Did you notice from the above screenshots that your emails don’t always have to be jazzed up with high res images? Text works just as well. The point is to touch the reader! 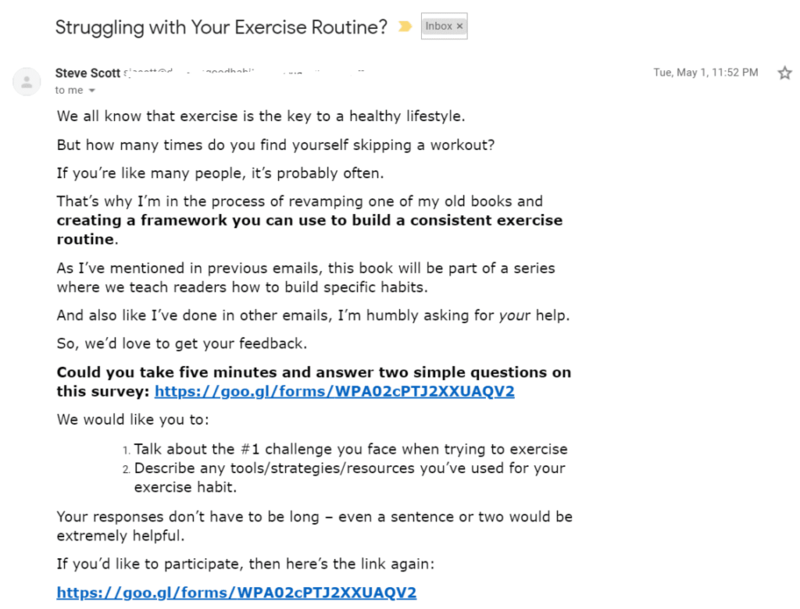 (Resource: If you’re new to email marketing, Constant Contact offers a nifty worksheet to help you write your email in 15 minutes.). Constant Contact is offering a free trial for 60 days. You don’t need a credit card to start a trial. 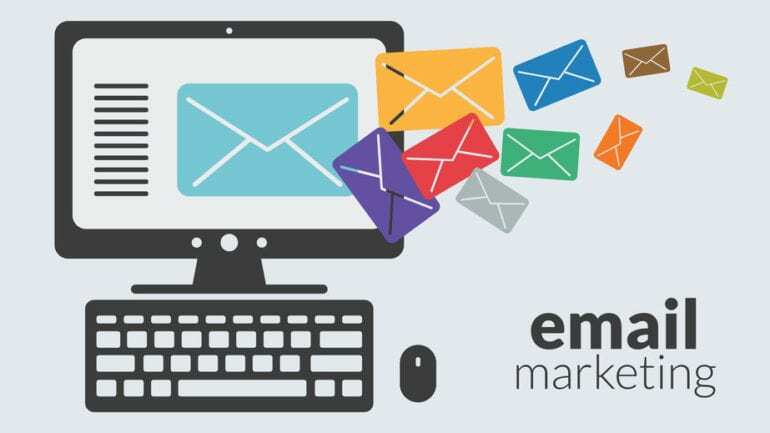 Whether your email marketing goals revolve around sales, driving traffic to our website or building relationships—your email subject line is the deal breaker, the starting point that must engage them. 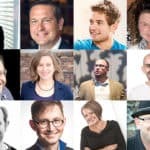 It is worth focusing on those 40 or 50 characters—most email service providers offer that length as a preview—to entice your reader. What makes you open an email? 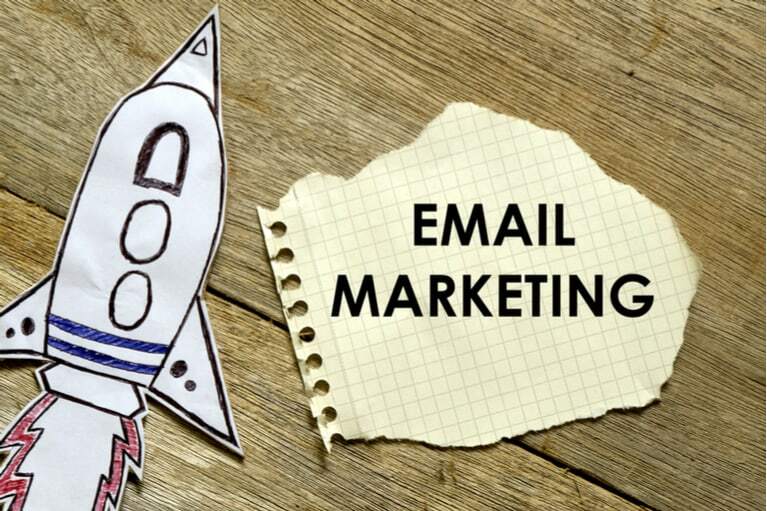 As an email marketer, which formula works best for you in terms of open rate?